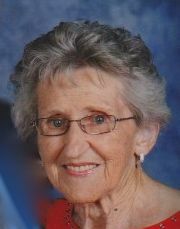 Rose Cesa Kulick, 93, of Butler passed away November 25, 2018. She was born in Kersey, PA to the late Joseph O. Cesa and Rosina Commiotto Cesa. Mrs Kulick was a homemaker. She graduated from the Butler Hospital School of Nursing in 1947 and previously worked as a Registered Nurse and evening supervisor in the Nursing Office and Labor and Delivery Department of the Butler Hospital. Mrs. Kulick volunteered for the Heart Association, PARC, was a lifetime member of the Butler Hospital Nurses’ Alumni and worked as a Minority Inspector at the polls. She enjoyed crafting and baking for her family. Mrs. Kulick belonged to St. Paul’s Church where she was a member of the Ladies Guild and Christian Mothers. Mrs. Kulick is survived by three daughters; Joyce Montag (Paul) of Slippery Rock, Cheryl Ankrom (Donald) of Butler and Nancy Young (Mark) of Pittsburgh. She is also survived by two granddaughters; Angela Jones (Christopher) of Manhattan Beach, CA and Trisha Ray (Kevin) of Chardon, OH and five great grandchildren; Desmond, Wesley and Penelope Jones and Ava and Abigail Ray. Mrs. Kulick was blessed to have a wonderful family of caregivers during the last years of her life that included Judy Weiland, Tricia Powell, Jeannette Fleeger, Michelle Peace, Carol Finan, Shirley Lindsay, Brenda Josephs, Sandi Lorenz, Nancy Neal, Tammy Ruediger, Brenda Parsons and Toni Grupp; hairdresser Kimberly Noble and special friend, Patricia Bernot. The final period of her life was made comfortable by the special caregivers from Good Samaritan Hospice and Concordia Skilled Care Facility whose guidance and care was immeasurable. In addition to her parents, she was preceded in death by her husband, George Kulick, three sisters and four brothers. There will be no public visitation. A Mass of Christian burial will be celebrated at 10:00 Tuesday from St Paul Roman Catholic Church, 128 North McKean St. Butler, PA 16001. Arrangements completed by the Geibel Funeral Home, 201 East Cunningham St. Butler, PA 16001. In lieu of any flowers or donations, we ask that you reach out to your family or loved ones today and spend some time with them. Rose would like that.